Thorndike, Maine: Thorndike Press, 1996. 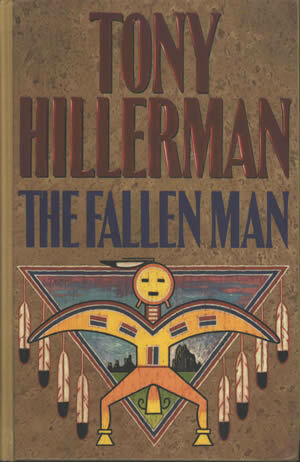 This is the hardcover large print edition of Tony Hillerman's novel The Fallen Man. It was published in 1996 by Thorndike Press, Thorndike, Maine. Binding: Full-color paper- and vinyl-covered boards. On the spine, the book title is printed in red, the author's name in purple.